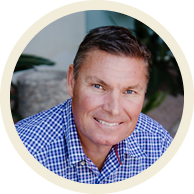 Dr. Paul Van Berkel, Arcadia chiropractor, begins each day with one goal in mind—to help his patients live a better, balanced life with chiropractic care. 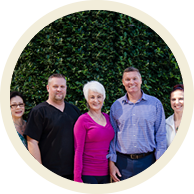 Dr. Paul hopes to help you understand all that chiropractic care can offer you and your family and strives to put your body on a healthier path for life. restore your spinal alignment and remove subluxation. care or simply want to feel better and live your best life, we’re here for you. same day appointments to fit your schedule. The doctor was very friendly and obviously executed the procedure I was needing to give me the relief I was hoping for. He was not in my insurance network but worked with me to make the visit affordable. On a scale of 1 to 10, I would definitely rate this doctor visit at 10. Dr. Paul is amazing! I am so relieved to know that I have a great doctor / real doctor in my self care. Most amazing visit I’ve ever had. I’m pleased that Bart Garlotte (my long-time friend who referred me) sent me your way! Your professionalism and genuine concern for my overall health shine through. The doctor is very warm and personable and immediately made me feel at ease being there. I appreciated the patient education. You are the best Dr. Paul! Loved the service, you were excellent in everything and helpful. Thank you again for the advice, it’s very much appreciated. Dr Paul was very personable. Took time to listen and also took time to explain his approach to my situation. Dr. Paul was amazing. Listened well and explained what the plan of treatment was. Look forward to my next visits. I really enjoyed this and will be back! Thank you for squeezing me in so quickly! Perfection; was not overwhelming with information Felt doctor knew what I was experiencing.